WINNER's comeback title track "EVERYDAY" has landed an all-kill on realtime music charts, a day after its release. The group's 2nd full album was released on April 4 at 6PM KST. 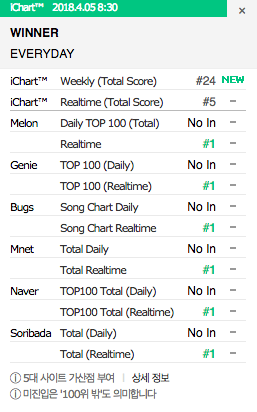 As of April 5 at 1:00 AM KST, title track "EVERYDAY" ranked #1 on all 8 major domestic music charts, achieving the group's first all-kill with their newest track. As of April 5 at 8:30 AM KST, "EVERYDAY" is still #1 on the 6 major domestic music charts, which contribute to the domestic iChart score. 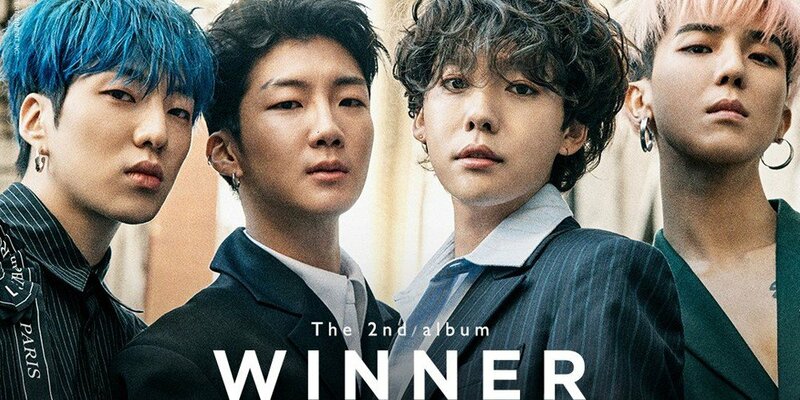 Overseas, WINNER's 2nd full album 'EVERYD4Y' topped iTunes album charts in 18 countries total, including Brazil, Chile, Columbia, Hong Kong, New Zealand, and more.